One or two spaces have become available for newcomers in both of our Monday Nursery Dance classes. 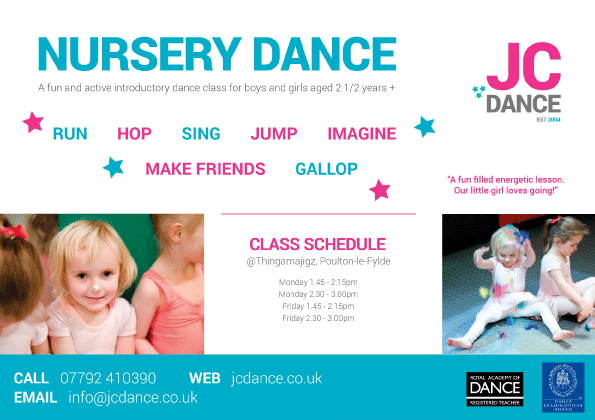 If you have a son or daughter aged 2.5+ who just loves to dance please get in touch to book their trial class! (Please note, we close for the Easter holidays on Saturday 24th March and re start on Monday 9th April).